The 85-year-old justice underwent a pulmonary lobectomy on Friday at Memorial Sloan Kettering Cancer Center in Manhattan, the Supreme Court reported. The two nodules were discovered on her left lung “incidentally” when she had tests performed after she fractured ribs following a fall in November. “Post-surgery, there was no evidence of any remaining disease. Scans performed before surgery indicated no evidence of disease elsewhere in the body. Currently, no further treatment is planned,” the Supreme Court statement reads. “Justice Ginsburg is resting comfortably and is expected to remain in the hospital for a few days,” the statement reads. 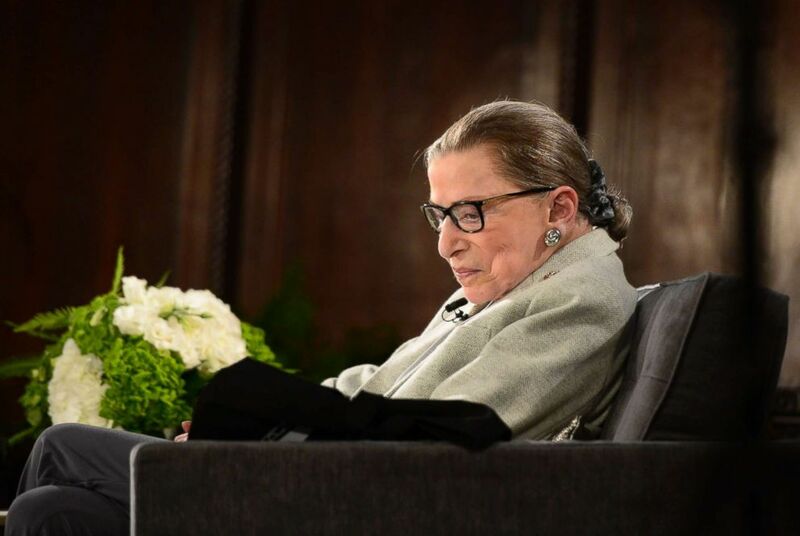 U.S. Supreme Court Justice Ruth Bader Ginsburg during an event, Dec. 15, 2018, at the New York Academy of Medicine in N.Y.
Ginsburg just recently resumed a public schedule after being hospitalized for observation and treatment after fracturing three ribs following a fall in her office on Nov. 7. This is not the first time that Ginsburg, who is the eldest sitting Supreme Court justice, has faced cancer. She was diagnosed with colon cancer in 1999 and pancreatic cancer in 2009. During both of those bouts, she never missed a day of work. Another health scare came in 2014 when doctors discovered a blockage in her left coronary artery, and she was briefly hospitalized at that time.